While I love Christmas, I get a little panicked and overwhelmed at my to do list. Focusing on all that has to be done makes my blood run cold and my palms sweat, yet I am determined that this year it will be different. This year I will celebrate instead of rush. This year I will soak in the true meaning of Christmas instead of succumbing to pressures that society places on holiday perfection and creativity. This year, I won’t be a slave to crowded stores and a world telling me the spirit of Christmas is found in expensive gifts. 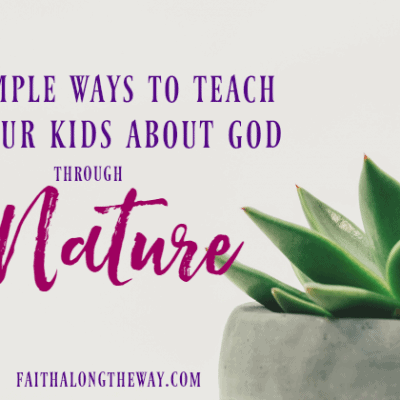 These easy steps will help us all not just survive this Christmas, but thrive through the hustle and bustle, allowing our hearts to embrace the magic of the season and make memories to last a lifetime. 1. Have a plan and do something every day to check items off your list. Check out these exhaustive Christmas planning resources at Of the Hearth! 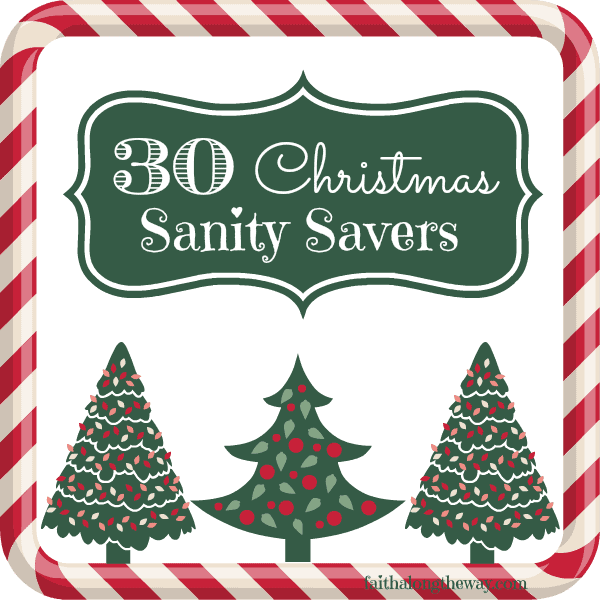 I will be making my list and checking it twice on these fabulous printables! 2. Set a budget per person and DON”T go over it. 3. Shop early and from the comfort of your own home. Be sure to watch the deadlines so gifts will arrive by Christmas. 4. Make a menu and start shopping the weeks leading up to the big day. It saves the hassle of crowded stores and the exhaustion of one giant shopping trip. 5. Cut down on the number of gifts you buy per person. We limit our kids gifts to four; something they want, something they need, something educational, and something they read. 6. Cook and freeze some menu items and even cookies in the weeks ahead. No more big baking day or cooking in large quantities! 7. Limit the number of decorations you put up. You don’t have to put up every single decoration you have to be festive; only the ones you truly love and have memories attached to. 8. Wrap gifts as you buy them, so you are not overwhelmed with the amount you need to wrap. 9. 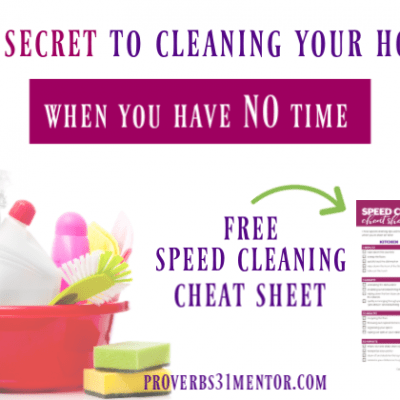 Clean and de-clutter before you decorate. This is such a sanity saver! 10. Clean out kids toys and clothes, making room for the gifts they’ll receive. Others will be blessed and your mess will be less! 11. Embrace the meaning of the season. I love reading the Gospel of Luke during December to focus not only on the birth of Jesus, but on the reason He came to earth. Knowing He was born, then died to save me from my sins, puts the whole season in perspective. 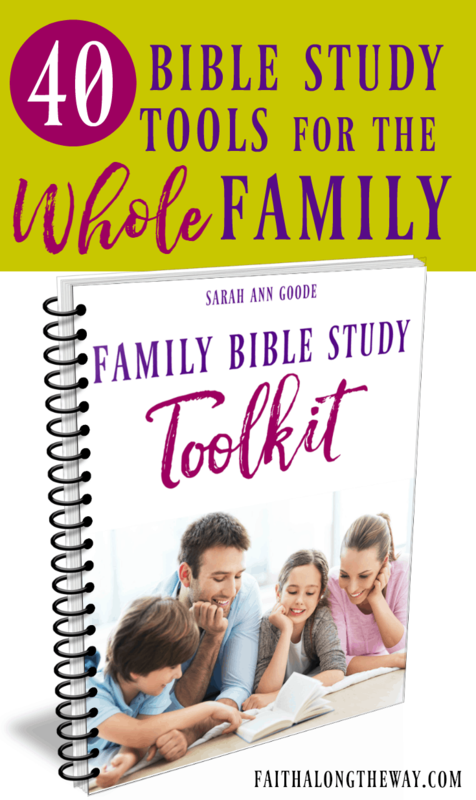 Do you wonder who God is and what He has to do with you? Your questions answered here. 12. Let go of expectations of perfection. To have an amazing Christmas, things don’t have to and won’t be perfect! 13. Schedule time for service and for helping those in need. 14. Consider catering or buying menu items for your Christmas feast. 15. Use disposable plates and silverware to make clean up a snap. 16. Make a chore basket and at the end of the meal, everyone choose a chore so no one is stuck cleaning the whole mess. 17. Create a gift wrap station so everything is in one place. 18. As you buy gifts, sort them into labeled boxes so you’ll know who they are for. 19. Use your crock-pot often so dinner will be ready and the clean up will be minimal throughout the season. Lots of great crock-pot ideas found on my Pinterest board, FOOD! 20. Schedule time for yourself. Plan out time to relax and plan a Mom’s Night Off. (No cooking, cleaning, wrapping). Perhaps you could even squeeze in a festive movie from the Hallmark Channel! 21. Try to buy the same gifts for multiple people. Last year I gifted the same book to three people and it made shopping a snap. 22. Don’t be afraid to simplify or downsize your meal or baked goods selection. Do you really need 10 varieties of cookies or 5 sides to your Christmas dinner? 23. Have snacks on hand to take to parties or in case friends drop by. By serving something store bought on a pretty tray, guests won’t mind you didn’t slave for hours. 24. Help yourself for next year and weed through the Christmas decor you don’t use anymore. Giving it to charity will save on time cleaning up and you can consolidate boxes. 25. If you have little kids, consider giving them their own small tree to touch and decorate. Hopefully, they’ll leave the main tree alone! 26. Don’t feel the pressure to DIY. If you love to craft and create, then go for it. But remember, you don’t have to be Super Mom! 27. Input addresses into your computer, so each year you can print labels for your card recipients instead of hand addressing each one. It’s worth the effort! 28. Limit the number of activities you participate in and plan a date in front of the fire, snuggled up with your love, recapping the year and wishing for the next one. 29. Make and perfect one Christmas cookie recipe. Swap cookies with friends so that you have a variety to eat, but only one kind to make. 30. Make a list of the gifts you will give and where you will buy them. I try to go to each store once and get everything I need in that one trip. Christmas, can be magical once again and you can enjoy the most wonderful time of the year! How to you keep the chaos out of Christmas? How do you stay sane among the hustle and bustle? 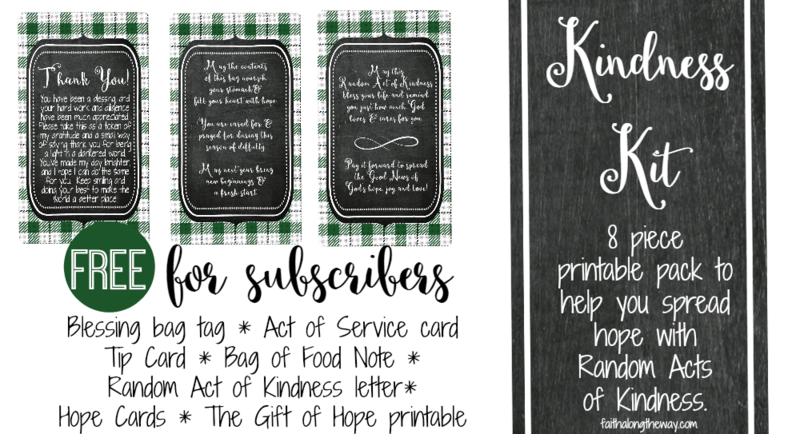 Make Random Acts of Kindness a breeze this holiday with this FREE subscriber Kindness Kit! Love these ideas! I’ve just been writing this week how I acutely feel the need to scale back Christmas and just be in the season. Just soak it in and focus on the reason we celebrate, not the excess that so easily overtakes us. 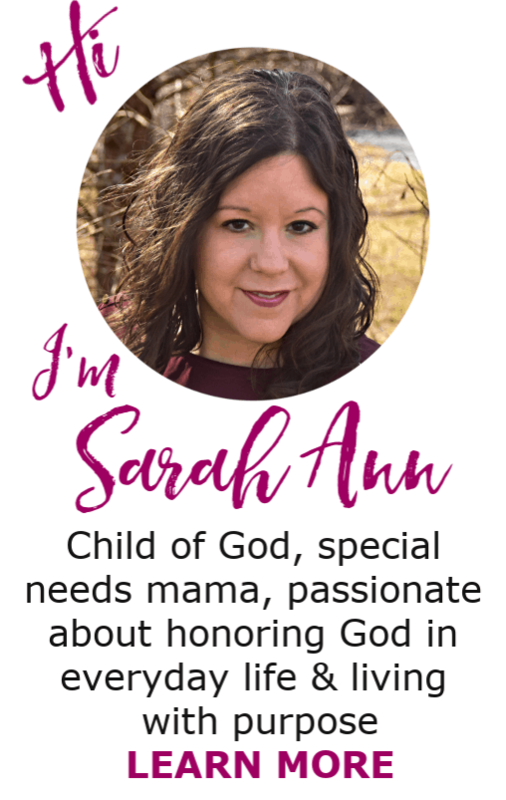 Lots of great ideas here Sarah Ann! I love your approach of finding ways to make the Christmas season less stressful and more enjoyable. Bless you friend! Thank you for your kindness! 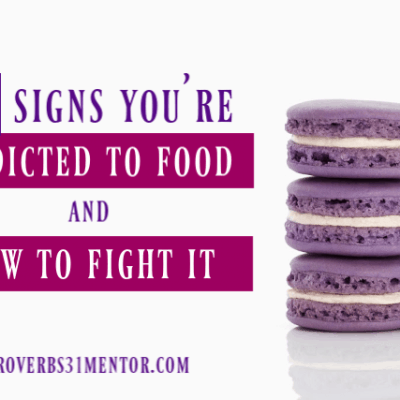 I realized in the past I wasn’t savoring Christmas like I should and knew I needed to change! Thanks so much for stopping by! These are great tips! I’m glad my planning printables made the list. I need to implement many of these in order to have a peaceful Christmas. What a great list. A few of these things I’m already doing, but I like #7,8, and 21 and need to incorporate them into my holidays to make them smoother and easier. Thanks! Thanks, Gail! It sounds as though you are on your way to a sane Christmas season, which means more memories to be made and more celebrating the birth of Jesus can be done! Good for you! Great ideas! It’s a great idea to wrap presents as you buy. I always do it in one big clump and it takes forever. Pinning this! Thanks, Tricia! I always wait to wrap everything, too, and regret it every year. I am determined to wrap as I go to save my sanity! I love your party, Barb and thanks for having me each week! I love that you and I appear to be kindred spirits! I’ve shared your post as well and I looking forward to reading more of what you share! I love your list! Over the last several years we have cut way back and simplified our Christmas as well. Now, we choose to do an event or activity with our kids as their main present (Such as dinner and a concert) and then we have fun filling stockings. We also like to focus more on giving to different charities as a family as well. It has made our holiday time so much less hectic and focused on family and fun instead. Event gifts are my favorite! It’s a great way to make memories that go beyond Christmas Day. Love it!